Acupuncture is an ancient healing system that was developed based on observations of nature. Just as nature moves through seasons and storms, our bodies do the same. Through the insertion of tiny needles at specific points in the body we can guide that movement in a more harmonious way. Unique in our modern health care world, acupuncture stands out in its ability to treat a wide spectrum of physical and emotional conditions while offering a relaxing moment of self-care. Whether you are in the midst of your childbearing years or simply a human looking for some relief from daily life, acupuncture can help. Acupuncture truly excels in bringing awareness back into our bodies. This mind-body connection is invaluable to building the trust in our bodies necessary for an empowering and positive pregnancy, birth, and postpartum period. 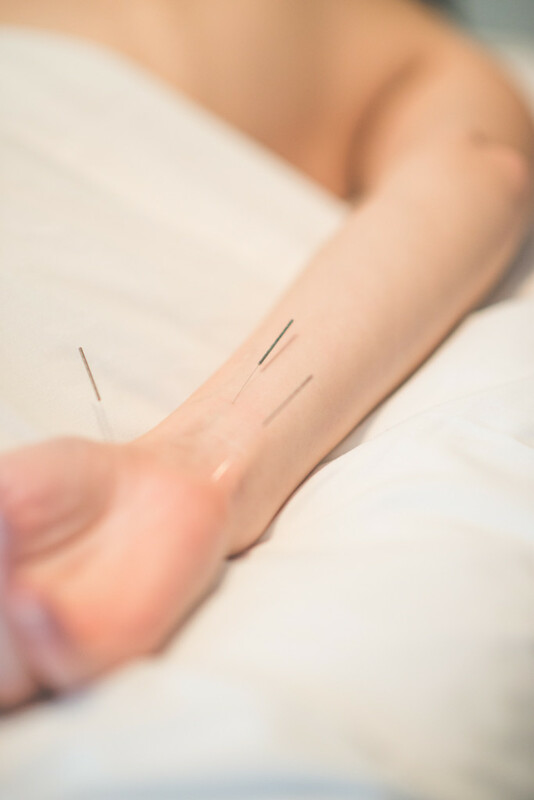 Check out these FAQ’s about Acupuncture and its many benefits. Do you struggle with painful or irregular periods? Acupuncture and herbal medicine can help. Together we can help stabilize your cycle and reduce symptoms of PMS, pain, cramping, excessive bleeding, scanty bleeding, and more. Menarche to menopause, acupuncture can help. Acupuncture can help you achieve optimal heath prior to conception. Good preconception health can lead to a healthier pregnancy, birth and baby. Acupuncture helps to regulate the menstrual cycle and increase blood flow to the uterus and ovaries making it easier to conceive. For folks using Assisted Reproductive Technology such as IUI or IVF, acupuncture can be a wonderful ally increasing the chance of healthy pregnancy and reducing stress. Acupuncture immediately before and after an embryo transfer has been shown to increase the likelihood of pregnancy and birth. This service is provided on site at your doctor’s office. The treatment is based on a well studied protocol using one set of acupuncture points just before the transfer and another set after. 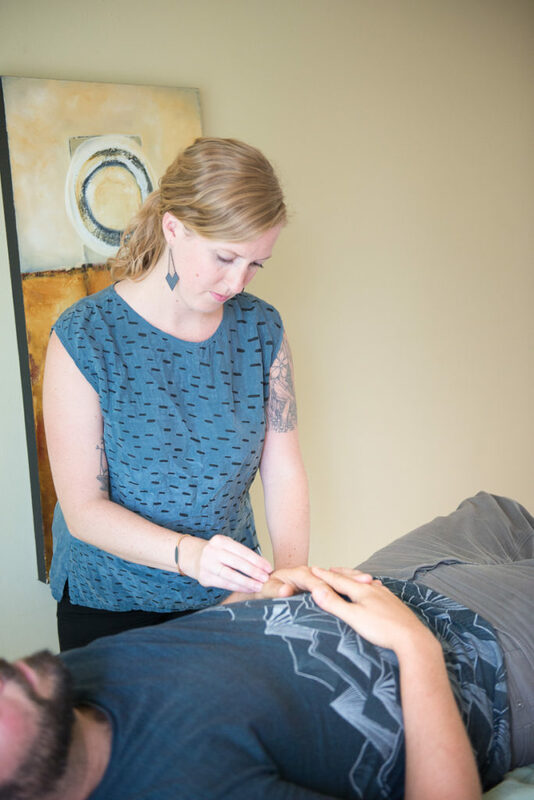 In addition to increasing the likelihood of success, transfer day acupuncture will help you feel at ease and relaxed – a doula for transfer day! Acupuncture in pregnancy is ideal as a drug-free way to reduce many of the issues that can arise in pregnancy. It can help alleviate nausea, vomiting, heartburn, constipation, fatigue, insomnia, body pain, carpal tunnel, leg cramps, and edema, just to name a few. Acupuncture offers the opportunity to find pause amidst the intense sensations and emotions that accompany the childbearing year. The time you spend on the table helps to build your connection and trust in your body, leading to a happier healthier pregnancy and birth. Read more about prenatal acupuncture here. Acupuncture is wonderful labor preparation with weekly treatments beginning at 35 weeks. Research, as well as feedback from midwives, shows acupuncture during this time can lead to shorter labors with less interventions. Acupuncture and moxa can help stimulate the turning of breech babies. This is best done between 34 and 36 weeks though is worth a try even later in pregnancy. 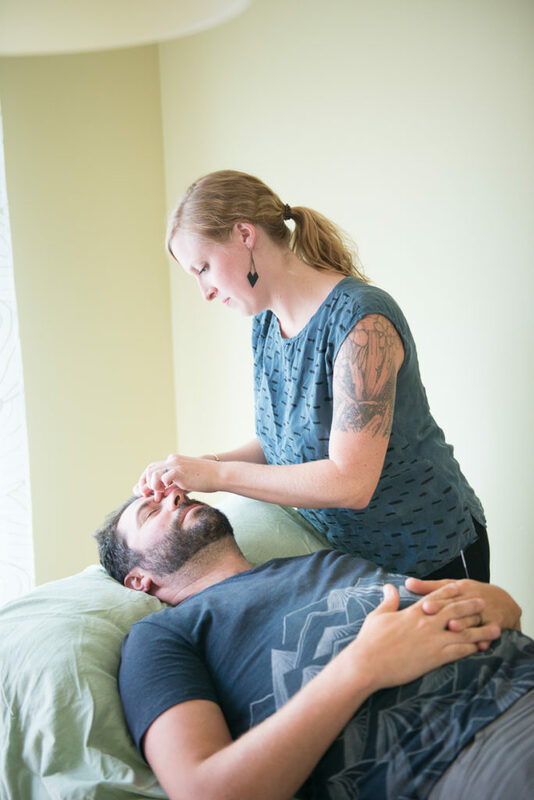 Usually the treatment will involve teaching a moxa technique to be done daily at home for ten days in conjunction with 2-3 acupuncture sessions. 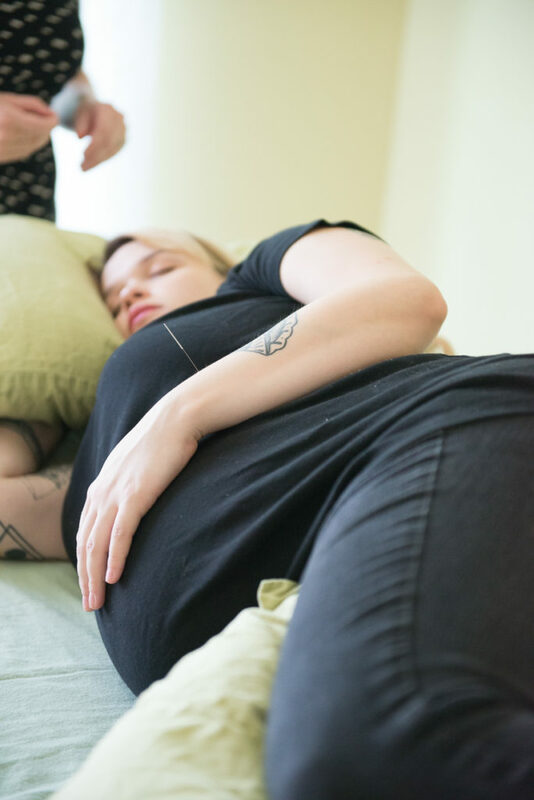 Postpartum acupuncture can help speed recovery, increase milk supply, help to stabilize emotions, reduce stress and fatigue and help re-establish healthy menstrual cycles. It can be very challenging to find time for self care during this period but your body, your baby, and your whole family will benefit! I also highly recommend placenta encapsulation to ease the postpartum period and help your body recover. Read more about the benefits of placenta medicine here. Acupuncture is an excellent option for stress reduction and wellness to handle the demanding world of parenting. Remember when you used to have down time to relax, see friends, read for pleasure, or exercise? Now that those times don’t come around so often, you deserve at least an hour a week to de-stress while boosting your immunity and stripping away the aches and pains. Not pregnant, thinking of being pregnant, or recently postpartum? No problem, we would still love to see you. Acupuncturists are trained as general practitioners and acupuncture and the other modalities we use excel at treating digestive issues, allergies, pain, and much more. Love research? See the World Health Organization’s full report on the benefits of acupuncture here. Acupuncture is extremely useful in recovery from motor vehicle accidents. Motor vehicle accidents often cause physical and emotional trauma. 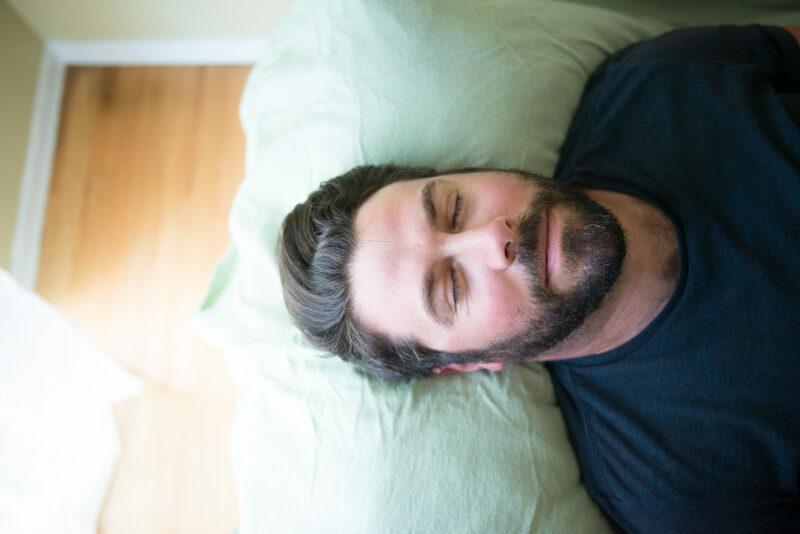 Acupuncture is a rare form of healing that addresses both of those within the same visits. If you are in the state of Oregon your Personal Injury Protection (PIP) will cover a minimum of $15,000 or one year of healthcare expenses.